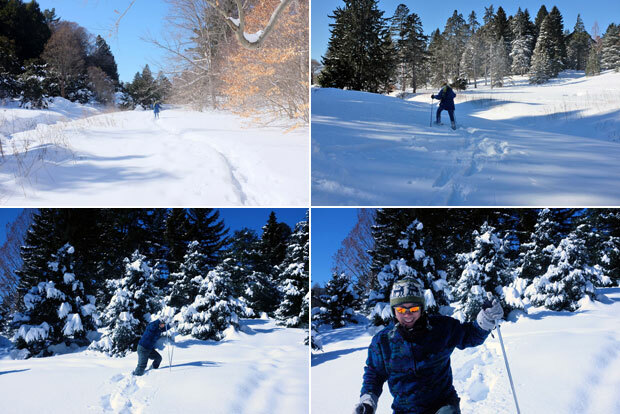 One of our readers put the bug about snowshoeing in our heads. With all the fresh snow on the ground, we convinced ourselves that, even though it was 13º, to venture out for a trek. Some were a little skeptical, but the promise of lunch out was enough to overcome their initial reluctance. 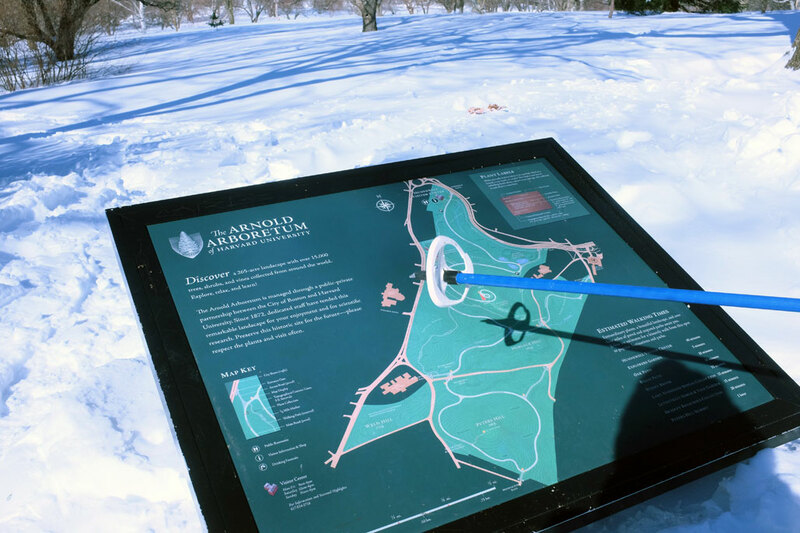 We layered up, brought along a couple of heat packs, and made our way to the Arnold Arboretum. There were a few folks out, but we pretty much had the place to ourselves. The cold temperature meant that the snow wasn’t really packing much and was knee-deep even with the snowshoes on, but it was still pretty easy to get around. 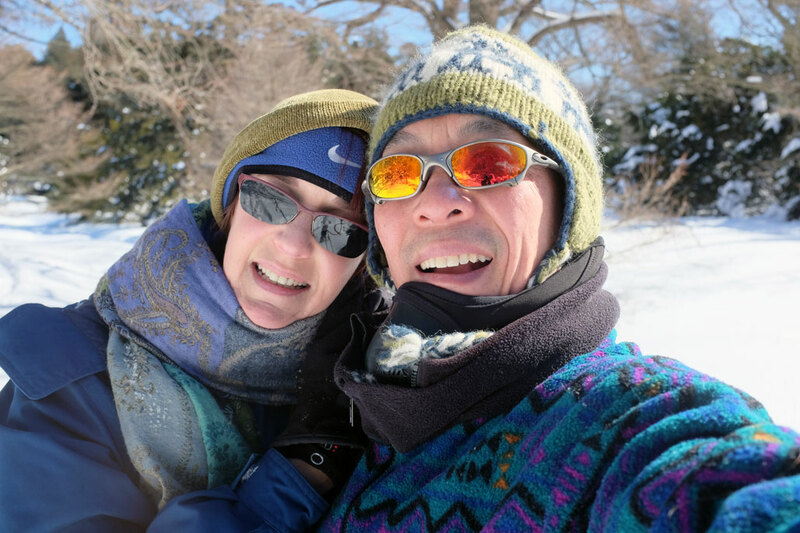 It was great to be able to get outside and do something active…besides shoveling snow! Time to put away the parka!